Mounting territorial losses and a return to terrorist tactics in Iraq, Turkey and overseas, suggests that the Islamic State’s favored strategy of moving fighters to take territory elsewhere when it comes under overwhelming pressure on one front is no longer working so effectively. The Islamic State (IS) launched a small offensive last month against Syrian government forces inside the besieged eastern city of Deir ez-Zur. Media reports suggested that the militants had been driven back, but only after they had carried out indiscriminate killings of troops and civilians. The failed attack comes at a time when the group is under pressure on multiple fronts as Russia, the U.S. and Iran, the major international players opposing it on the ground, have begun to support proxy forces arrayed against it more closely. Islamic State has a sophisticated and well-run military machine for a militant group. It inherited many highly-trained personnel from Saddam Hussein’s armed forces and seized large stocks of equipment from the Iraqi army when the latter melted away during IS’ conquests of cities like Mosul or Ramadi. But it is not the strongest military power involved in the conflict and its victories have come from preparation, infiltration, nimbleness and a higher morale than its more numerous enemies. Above all, the group benefited from the political vacuum left to by the collapse of old colonial era borders, the quarreling between Turks, Kurds and Arabs over how to reform their political communities and the mutual hostilities between Russia, Iran, America and Saudi Arabia. Now the situation in both Iraq and Syria seems to have tilted against the group. In Syria, Moscow’s intervention seems to have injected new vigor into Damascus. Meanwhile the formal ending of a network of complex sanctions on Iran over its nuclear program has strengthened the hand of ‘moderate’ Iranian leaders who see a transactional relationship with Washington as politically possible. That opens up avenues for future areas of cooperation such as military efforts inside Iraq, which have been weakened by the American’s refusal to operate alongside deeply sectarian Iranian-backed Shi’a militia groups doing most of the fighting. Benefiting from the release of formerly frozen funds, Teheran may now swing more of its weight behind the Iraqi government and army in the battles ahead against IS. The group’s relationship with the leading Sunni regional powers, Turkey and Saudi Arabia, is ambiguous and also deteriorating. Although both Turkey and Saudi Arabia have backed militant jihadi groups in Syria, their proxies have clashed with IS militants repeatedly over territory. Despite almost certain Turkish complicity in the movement of militants back and forth across the border and in the oil smuggling that funds the group, IS has repeatedly bombed Turkish territory. Up to now the Turkish government has found IS to be a useful counterweight to the Kurds and has refused to allow Kurdish forces to close off the last 60-mile long stretch of territory which is the group’s last access and exit point with Turkey. That calculation may be changing under American pressure and the gradual defeat of Turkish proxies by the Russian-backed Syrian army in the north. Meanwhile the recent U.S. moves towards reconciliation with Iran have further disillusioned the Saudis with their American partners, but this has not meant that the House of Saud’s selective embrace of Islamic militants has grown to include IS. While Riyadh’s recent spate of executions drew international attention by including the prominent Shi’a cleric Sheikh Nimr al-Nimr, the vast majority were Sunni extremists. Riyadh has further drawn the militants’ ire by declaring the formation of a global “Islamic Alliance” to fight terrorism. While Riyadh’s major focus is still on thwarting Iranian influence in the Middle East, it also regards the Islamic State as a dangerous competitor. 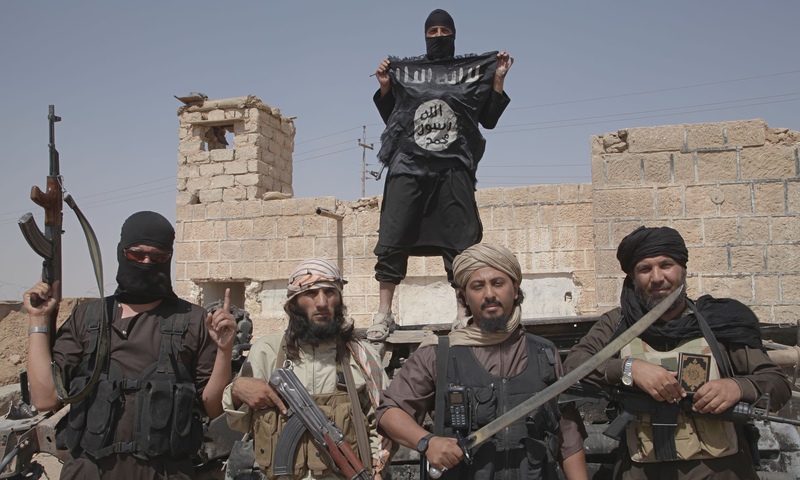 Lacking outside alliances and with the geopolitical situation slowly starting to tilt against it, Islamic State’s pretensions to act as a legitimate government seem to have its days numbered. IS has already lost substantial territory to Kurdish forces in Syria and major operations in Iraq to retake Mosul will begin in 2016 according to the Iraqi government. This comes with the caveat that just seizing the areas IS has occupied will not destroy the group itself, unless the re-conquest is also accompanied by the offer of an alternative political program for the Levant’s Sunni Arabs, particularly in Iraq. Already there are reports of security problems in Ramadi, the capital of Anbar province, which was recently retaken from Islamic State. It was the passive support of Iraqi Sunnis in Anbar province that allowed IS to rebuild itself after its previous incarnation Al-Qaeda in Iraq (AQI) was obliterated. IS also has deeper support there than in Syria, where it is competing with a host of other Sunni militant groups. In Iraq, it was the sectarianism and corruption of then-Iraqi government of strongman Nouri al-Malaki that drove Sunnis into the arms of IS, presently the sole insurgent Sunni faction there. Malaki systematically froze Iraqi Sunnis out of political power and began a process of “sectarianizing” the Iraqi army, leading to its abrupt collapse when IS attacked Mosul in 2014. If the world’s governments truly wish to see the end of the Islamic State, Baghdad’s numerous competing patrons will have to emphasise together that their support is contingent on allowing Sunnis in Iraq real representation inside the country’s political system.